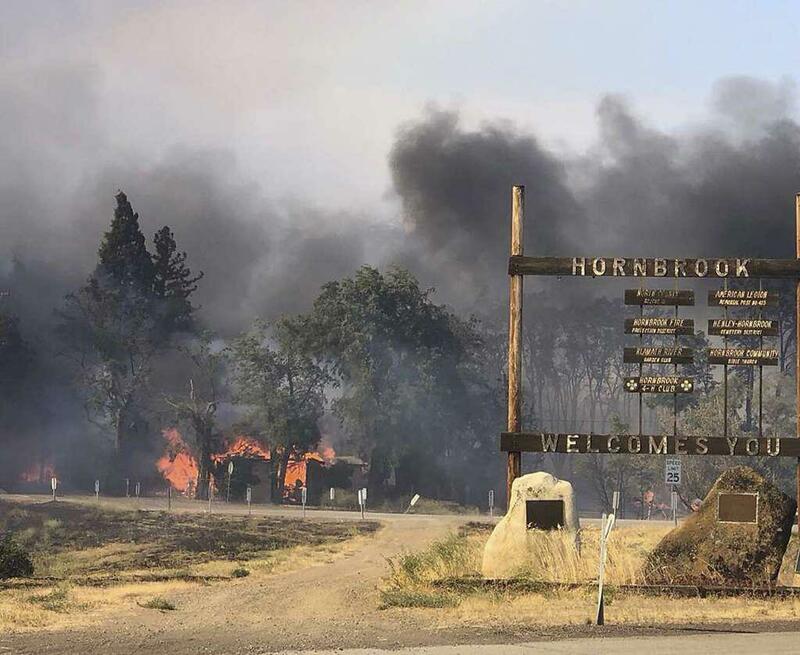 The community of Hornbrook is threatened by the Klamathon Fire. According to the latest update from Cal Fire last night, the Klamathon Fire has burned 35,000 acres and 25 percent contained. So far 81 structures have been destroyed. Cal Fire expects moderate fire behavior. They also report that the Klamath River County Estates continue to be threatened along with Hilt, Colestin and Jackson County in Oregon. They also noted that Hornbrook, Horseshoe Ranch Wildlife area, Klamath National Forest, Soda Mountain Wilderness and the Cascade Siskiyou National Monument are also threatened. A resident of Hornbrook was killed in the fire, which the San Francisco Chronicle reports as the state’s first fire fatality of the year. The person was not identified. Additionally three firefighters were injured but Cal Fire says the injuries were not life threatening. Approximately 80 fire crews are working to contain the fire, which includes more than 2500 fire personnel. Road closures include Ager Road at Klamathon Road, Ager Road at Shelly, Copco Road at Ager Road, Klamathon Road at I-5, Hilt at I-5 and Ditch Creek Road at I-5. **KHSU will update when more information becomes available.